IQOYA X/LINK-LE benefits from all the major features of X/LINK but at an attractive price. 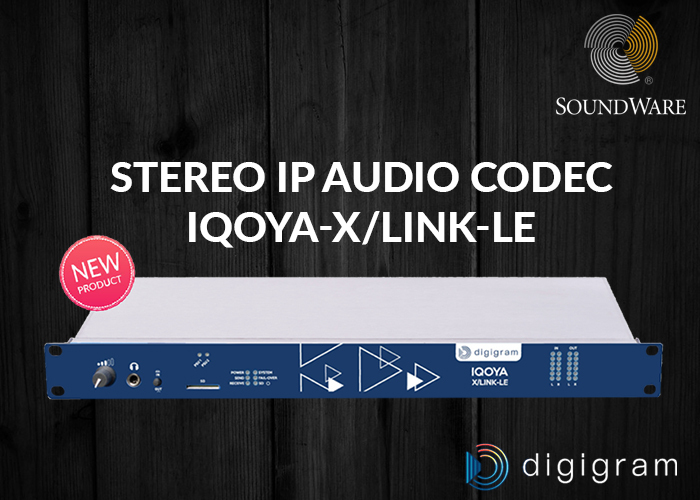 It can be used in legacy analog or AES/EBU audio environments, as well as in full-IP audio infrastructures (AES67, Ravenna, Livewire), making it a good investment for the migration to IP audio. Like all the IQOYA products, X/LINK-LE is based on Fluid IP technology which offers the redundant dual streaming feature, allowing for reliable connections over inexpensive IP links. Based on a low consumption and fanless powerful hardware platform, IQOYA X/LINK-LE is designed for 24/7/365 use.